Filipino former WBO world flyweight champion Brian Viloria is scheduled to step in the ring against yet to be named opponent on September 9, 2017. The 36 years old from Hawaii will be included in Wisaksil Wangek vs Roman Gonzalez WBC World super flyweight title fight. 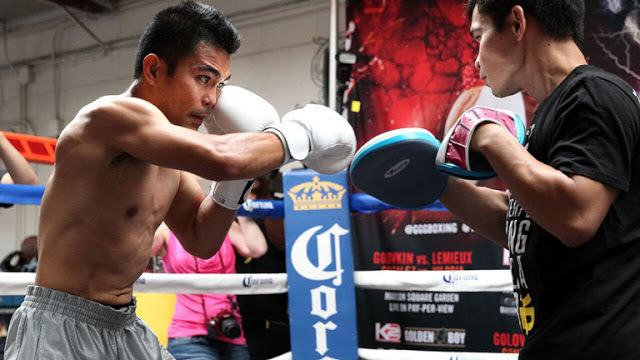 Brian Viloria lost 2 years ago against Roman Gonzalez via TKO, nevertheless, Viloria is not yet done in boxing and he will try to rally and to win another world title for one last time. Viloria has a record of 37W(22KO)-5L. He won his last fight against Ruben Montoya in Japan last March via unanimous decision. Viloria is now managed by Teiken Promotions of Japan.